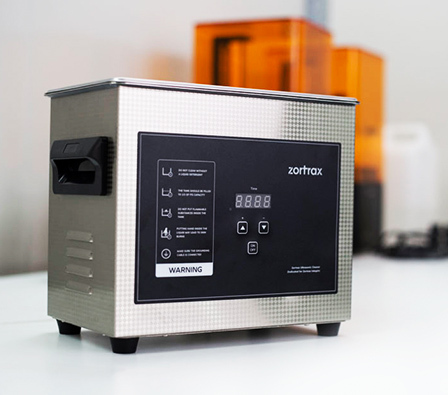 The Zortrax Ultrasonic Cleaner is an automatic cleaner of DLP 3D prints. It uses high frequency sound waves propagating in the water to automatically clean models. Simply fill the container with water, put the model in and turn it on. The cleaning process usually takes up to 20 minutes.